Council: chance for a fresh start? A little bit of politics, as Ben Elton used to say, decades back when he was an edgy comedian. This present administration at City of York Council, since 2011, is I guess the first one dealing with doing its work in the full glare and noise of social media and increased online ‘engagement’. It’s very measured and carefully put, which makes words like ‘vindictive’ and ‘bullying’ stand out. One of the most interesting aspects, to me, is the perspective on social media and its use. I don’t know what’s been happening on Facebook, but I do look at Twitter at some point every day, and use it a lot for information. I am just one of many observers who isn’t on any particular ‘side’, but just wants the best for the city as a whole, and I listened to all this with interest. I was so interested I even typed up some extracts of it while I was listening. In a further effort to help all York residents know what’s being talked about, for those who don’t have time to watch the video. Anyway, here are some interesting extracts, with the times (roughly) they occur. I’ve done it really quickly, it’s a bit rough and ready, but I hope these are accurate, I haven’t time to check. Let me know of any typos you notice. When he says ‘members’ I assume he means elected councillors, and he also mentions council officers, the paid staff. And, of course, the residents. 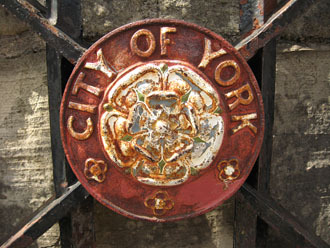 York clearly has many ‘passionate members and residents’. ‘the current leader can be a polarising figure’ (notes that this was James Alexander’s own phrase). So, there you go. Interesting, isn’t it. Is the next recorded meeting, and we can watch this too, via a live webcast at the time perhaps, as I hope to, on this link, or later on the council’s YouTube channel. I hope you found the above useful or interesting. Many people tell me that this site is unique, useful, valued. I do like kind words, but these days only money will keep this site online. By Lisa @YorkStories • 11 December 2014 Council To link to this page's proper location please use the > permalink. Lisa, you care for this elderly city which since it became a unitary council has become a strange place with Lib Dems and a New Labour faction vying for control. Too many political Councillors, too few Independents (or even Green). An interesting article in the current Red Pepper on the Independents of Frome – York has become too polarised by politics – the world is not binary, black/white and cannot be controlled by professional politicians as such! Interesting to read your perspective Mick as I have to be honest, I wasn’t paying much attention, until recent years, to the local political scene. It’s all far more complex now. With the webcasting, the ability to communicate with councillors more easily via Twitter etc, and many other factors too. What I did want to say though is that when I listened to the review above, I felt like the message was to all of us citizens, not just ‘the council’. Having seen part of Thursday’s council meeting on that link above (first half and the pubs discussion in the second part) it did seem more tolerant and calm and cheerful, which was good, I thought. But on Twitter it seemed just the same, quite intense, and I find that quite difficult. I guess that’s a personality thing, we’re all different. Thanks for this Lisa. Really interesting. Things did reach a point last year where I felt that things were getting a little too heated for my personal tastes on social media. I had previously thought that councillors and officers being on social media was probably a good way to make them more accessible but I think that was perhaps a little naïve. There’s been some interesting stuff by tech-critic Evgeny Morozov regarding what social media is doing to political debate. In the US it’s credited with creating the much more partisan atmosphere that gave rise to the Tea Party movement. It tends to turn things very binary with an ever present default towards rhetorical inflation and a loss of civility. It’s also highly addictive (designed as such by profit hungry tech companies) , which in itself distorts perspective. It’s against the ‘trust no-one’ spirit of the age to argue that people who go into local government of all parties probably deserve some basic respect for giving up their time for very little reward and an awful lot of hassle. That doesn’t mean giving them a free ride but it does mean allowing them to do the job to which they’ve been elected without throwing abuse at them or hassling them for hours a day, day after day about points of contention. Just read a really interesting book – ‘The End Of Absence’ by Michael Harris ( http://www.endofabsence.com/ ) who touches upon some of these issues. He hopefully argues that we’re still in the naïve phase of social media and excesses are happening all the time. In due course we’ll learn new rules of civility and bring a bit more mindfulness to the proceedings. On the day I deleted my personal Twitter I saw a councillor was being called ‘thick’ by people who claim to have a degree of knowledge to bring to the debate. Said councillor was included in the Tweet and it was being RT’d. I think sometimes people forget there’s a human being on the other end. Always good to read your thoughts Martyn, and I think we have similar views/feelings about Twitter. I’ve been thinking for some time about doing a page about Twitter and how I use it for York-related info, and may do so soon if I can. Will read the writers you mention. And yes, including the @name of people who are then bombarded with critical tweets is one of the main issues.